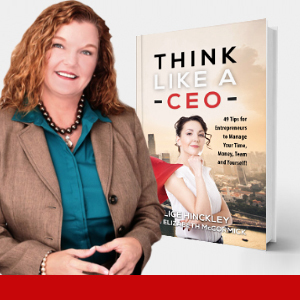 You have selected the Think Like a CEO eCourse membership level. As an entrepreneur for over 20 years as well as consultant to business owners from sole proprietors to executives managing million dollar corporations, I have learned through trial & error, observation, victories and mistakes that mastering the fundamental skills of a CEO will enable your business to thrive. A Chief Executive Officer has ultimate responsibility for the success and profitability of their business. Whether you are a brand new business owner venturing out in your first endeavor or a seasoned CEO, upgrading your skillset for managing yourself, your money, your time and your team will improve your results.